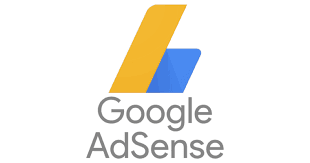 Google AdSense is one of the most popular platform for publishers to publish ads in their site and start earning from their passion. There are lot of rummer all around about AdSense not being approved for peoples from Nepal or its harder to get approved than blogger form other countries. Today we will guide you through creating getting approved in Google AdSense with in Nepal. Lets get started with Google AdSense in Nepal. Google AdSense is a product of Google as name implies. Which was established in March 2003 named as content targeting advertising. Bloggers from Nepal are using Google AdSense since the beginning?. It is the most popular and high paying among its type. The reason most publisher are interested in Google AdSense is because its pays high, have high number of ads with the wider range of contents and available worldwide. Your content should give some value to your users. Please be sure you have more than 50 posts in your blog before applying. Also Contents matter most in the long run. Having a Domain name matching your content have great advantage on Google AdSeans approval. I used to believe that you need to have a top level domain (not CCTLD), some months back one of my friend get AdSeans approved on .com.np. If you had gone through some contents you may have been told that domain age matters. But it does not for Nepal. We get our AdSeans approved the next months we register the domain. Google AdSeans is okay with use of other advertisement with in your website. But if you want to run Google AdSeans in your website. you need to wait till Google AdSeans is approved to try other advertising platform. Point is if your domain is capable of having AdSeans there will be no problem on getting approved for other Advertising platform.